Emerging from the crisis, new players are entering various financial services markets – from retail banking to asset management, mortgages and insurance. What fresh ideas and propositions are they bringing, and how will they challenge established providers? Will traditional players ignore them, or adapt to their arrival? Or will we see wholesale changes emerging from new alliances? 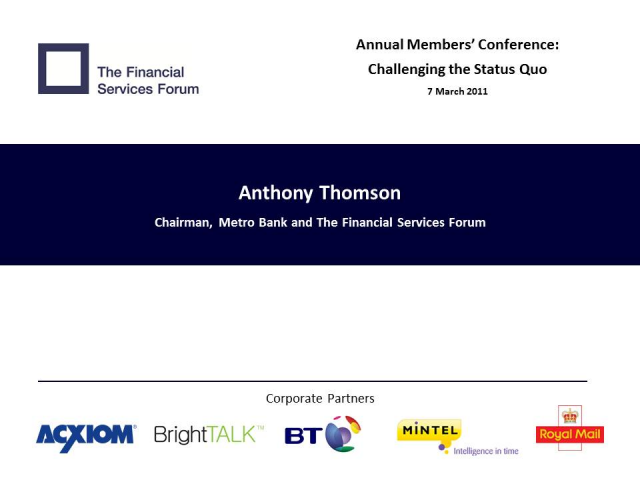 Anthony opens the March 2011 Annual Members' Conference.